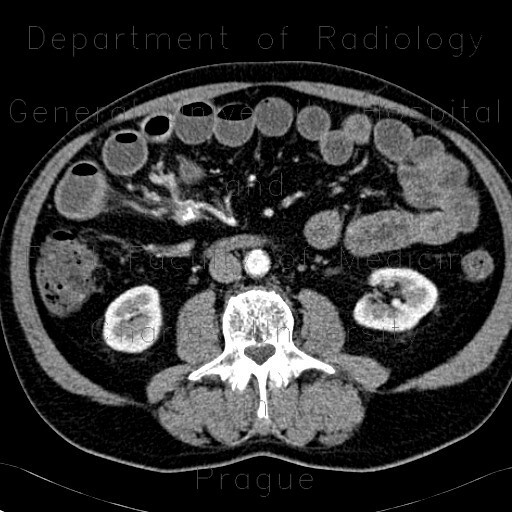 CT shows a small enhancing focus in the wall of terminal ileum that causes its stenosis with prestenotic dilatation. Adjacent to it, an enhacing mass with coarse calcification and desmoplastic reaction can be seen in the mesentery. It compresses adjacent vessels and engorgement of meseteric arcade branches of the portal vein.